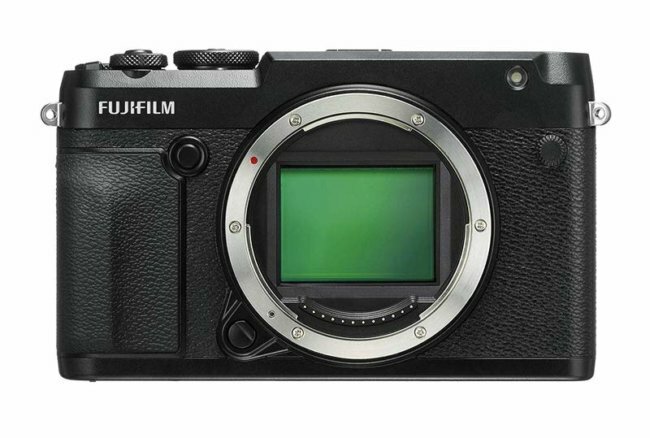 The Fujifilm GFX 50R is a 51.4-megapixel rangefinder-like medium format mirrorless camera, looking a lot like Fujifilm’s compact X-E3 mirrorless camera. Much of the workings are along the lines of its predecessor, the GFX 50S, but this time into a more compact and less pricey affair. 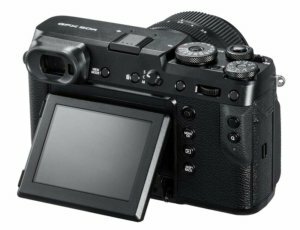 On release, there are going to be clear comparisons with the GFX 50S on price and resolution, but the price and a few more additional features will be the deciding factor. It weighs more than its competitors at 775 grams (the Nikon Z7 675g, Hasselblad X1D 725g, and Sony a7R III 657g) and comes with a bigger price tag, but it’s still is one of the most compact and cheapest in the medium format arena. The price tag on this camera will be around $4500 when it goes on sale around November. In early 2019, a GF 50mm f/3.5 ‘pancake’ lens is expected to release and that will pair well with the 50R. Fujifilm knows its way around rangefinder-type bodies, having made them back in the film days. Remember the popular GW690 series? Those medium-format rangefinders from the past seemed to be a good inspiration for the design here. The old-style rangefinders were far larger and bulkier (but also had a much bigger real-world size format than current sensors). This isn’t so much a detriment as the sensor on the 50R is at 44 x 33mm, comparable to the Hasselblad X1D. The 50R has a boxy shape, but it’s aided with a slight hand grip. Not as chunky as the grip on a traditional DSLR, but something to get your fingers around at least. That said, the boxy design, with its squared-off edges, is actually easier to handle than you would think. The shutter release button has a nice knurled edge and is very robust. This triggers a mechanical shutter with the option of an electronic first curtain and a fully electronic shutter mode. Size-wise, the 50R is more compact than the GFX 50S and GW690 but still has the familiar squared off design you would expect from a rangefinder-type camera. However, it is larger than most of its competition, and a bit shorter and wider than the most popular full-frame DSLRs. The camera has a robust magnesium alloy body with enough weatherproofing to handle a small bit of rain. To keep things more compact, the touchscreen delivers a lot of the functionality on-screen instead of using the traditional four-way controller. It’s also missing a mic and headphone socket, presumably because the 50R will be a dedicated stills camera for most. The touchscreen itself is similar to that of existing models with a tilt, but that’s still better than a fixed one or nothing at all. The resolution is at 3,690,000, clear and bright enough for most situations. Connectivity between the camera and other devices is a necessity these days, so the 50R comes with Bluetooth. Connect to a smartphone or tablet, and you can transfer images, use remote shutter release, and process raw images in camera. The GFX 50R also uses an NP-T125 battery as found on the GFX 50S, which should be good for up to 400 images on average. Quality is key and it happens to be where this camera excels. With the 50R’s medium format 43.8 × 32.9mm sensor, Image quality results in 8256 x 6192px and an ISO from 100 to ISO 12,800 (expandable to 50 – 102,400). The new camera is outpaced by the competition when it comes to video. Its 3 fps is slow compared to the likes of a Sony a7R III at 10 fps. Video can still be shot at a reasonable 1080/30p (1920 x 1080 @ 30p, MOV, H.264, Linear PCM), but no 4K in the foreseeable future. Control points on this camera are the same as its older sibling, using four directional swipes on the touchscreen. The operation menu will feel familiar to existing Fujifilm users. Fujifilm’s ‘Q’ Menu is useful for accessing anything that doesn’t have its own button. It’s also touch sensitive and can be customized with a pop-up swipeable strip. The physical buttons on the camera can also be customized along with the Q Menu, ranging from image size to anything else you use frequently. Auto ISO is such a helpful feature and the 50R has Auto ISO banks allowing you to set the lowest and highest ISO settings, along with shutter speed threshold, before it triggers an increase in the ISO. You can assign Auto ISO Settings to one of the camera buttons for quick access. This can be used in full manual mode and with exposure compensation. In this arena, you can get some comparisons with the likes of the Hasselblad X1D 50c, but Fujifilm lenses are more cost-effective and arguably more compact. There is also a comparison to the Nikon Z7, Sony a7R III, and Canon EOS 5DS R, but image quality edges the 50R above the competition. The GFX 50R is going to appeal to those who don’t want the bulk of some of the larger cameras, but still want the image size and quality that comes from a medium format camera. Although the touchscreen is only a tilt, it’s still good enough to capture images at most angles. It’s measurably slower when it comes to video, but this isn’t the 50R’s target market. A compact, ready-to-go camera with top-notch image quality is its primary purpose.